The British pop-rock group Blur will release their new album "The Magic Whip", the first in over twelve years, next April 27. Damon Albarn, Graham Coxon, Alex James and Dave Rowntree, with producer Stephen Street, announced via press conference launching their new album "The Magic Whip". Albarn confirmed in a press conference that Blur will participate in the June 20 mega "British Summer Time" in Hyde Park, which will coincide with other artists such as Taylor Swift, Kylie Minogue and The Who. "We have made a new album," Damon, who also joked about the proximity between his home in the capital London and green enclosure Hyde Park. "I love it because I can ride a bike to work," he joked. 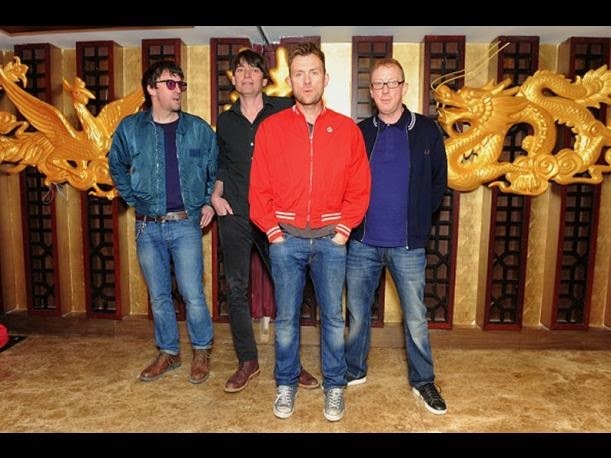 Meanwhile, Coxon explained that the recording of "The Magic Whip" album that launched next April 27, began in the Chinese city of Hong Kong after the cancellation of a concert, so the band decided to "take advantage of a few days, five or six days. " "It was because of Coxon" interrupted Albarn guitarist, adding that, in fact, the recording in the studio was composed at the beginning of "solo jam sessions" and then the producer Stephen Street was recruited to decide whether there was equipment for a new job. Some of these new issues "may not sound" like the old Blur recognized by Coxon, Alex James but insisted that "everything has fit perfectly." The singer said that the inspiration to compose some of the lyrics came from the recent student demonstrations in Hong Kong and a trip to North Korea. In fact, one of the themes in "The Magic Whip" ("The Magic Whip") is entitled "Pyongyang" and when asked about this one with the name of the North Korean capital, Albarn said he is "an impression, my impression of a place seen in a very abstract way. " "It's a very urban album. It's very, very nice to have something in our hands than we can be proud," said Albarn.